Optimal Leasing LLC is an independent Minority Business Enterprise (MBE) originally founded in 1996 with a specific emphasis on providing lease financing for capital equipment. Through an established financial network the Company is able to provide a wide variety of lease structures tailored to the needs of the customer. Optimal Leasing is able to assist its customers who have supplier diversity initiatives in reaching their MBE spend objectives with a quality lessor who understands their business. The Company is innovative in its approach to the market and endeavors to work diligently on finding lease solutions that work. 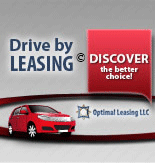 With an experience admin and doc team Optimal Leasing LLC provides to its customers the highest quality of service.